I want to finish this character, Eeri, so work has begun on her head once more. 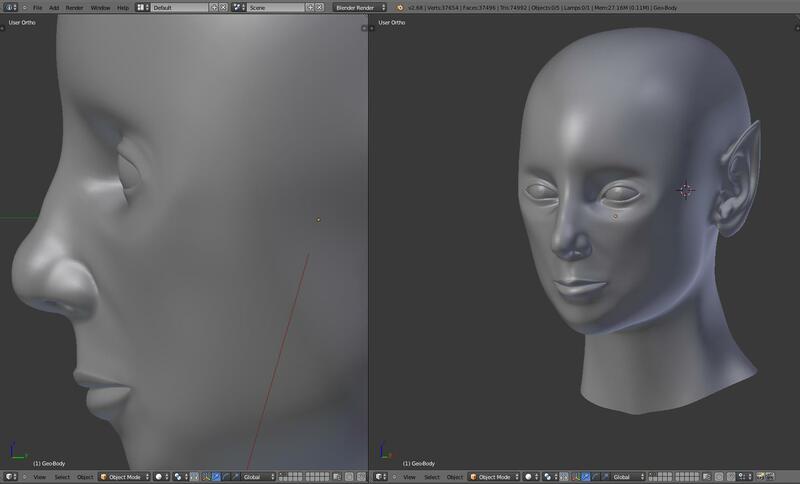 Planning on making changes to her facial features, eyes mainly, and lips. Her ears look a bit off to me, not to scale, so that also should be adjusted.